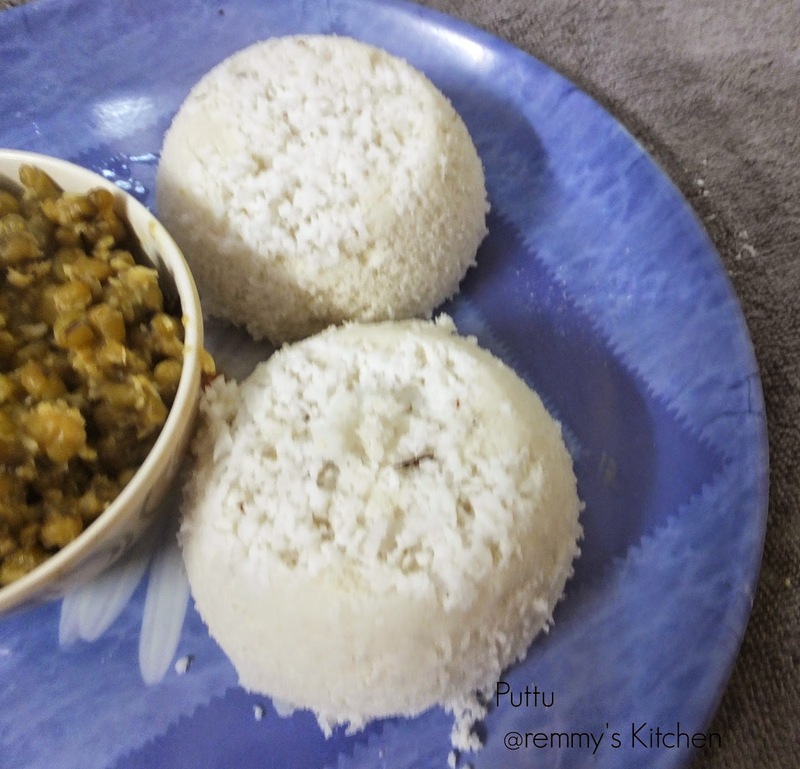 Puttu is the iconic breakfast of Kerala.And offcourse we can say that it is a comfort food of Keralites.Puttu with payar (greengram stir fry) ,pappad, banana, Payar puzhungiyathu(boiled green gram) and kadala curry (chickpeas curry) are superb combinations! 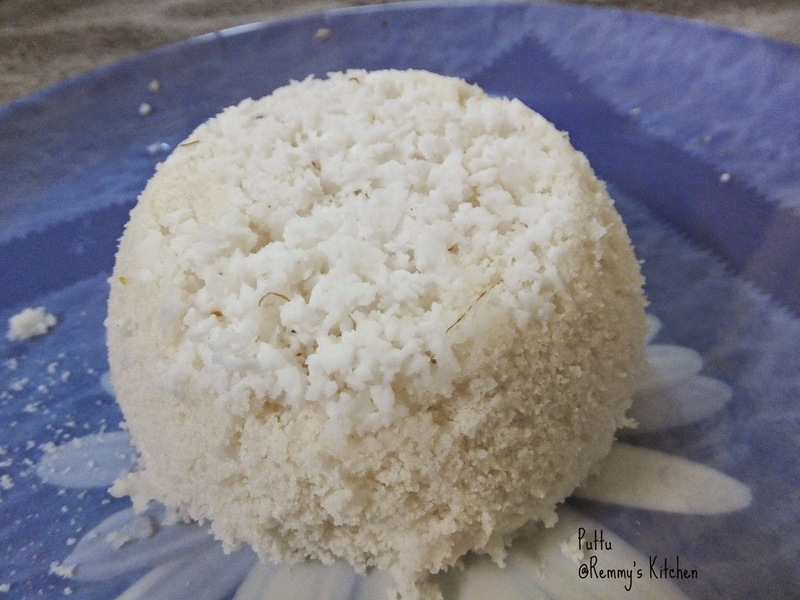 For preparing rice puttu we need coarsely ground rice flour(puttu podi),Grated coconut salt and little water.But this time I'm sharing a tip for preparing soft puttu.Yea I have already mentioned it in cooking tips section.Mixing of rice flour with cooked rice will give you soft puttu. 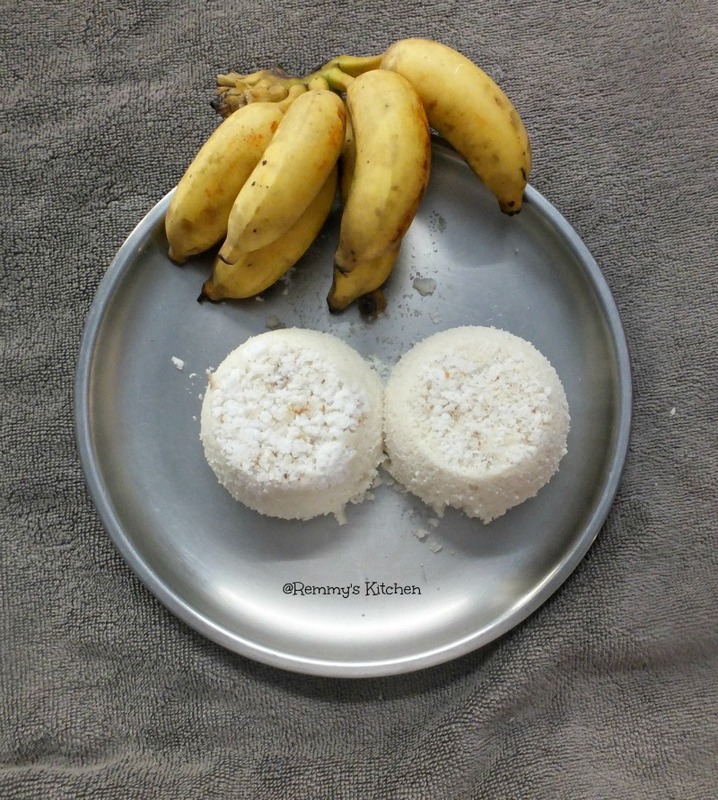 (Thanks to Jyothi chechy who shared this tip with me :))You can finish your leftover rice also! Add cooked rice ,rice flour and salt to the blender. Pulse it for few seconds.You will get smooth and soft puttu flour. Now take the puttu maker (either puttu kutty(pot) or chiratta puttu maker) Place the chillu(the round holed disc with puttumaker).Add some coocnut then fill it with puttu flour.Finally add 1 tspn of grated coconut. Soft yummy puttu is ready to serve!!!!!!! While mixing puttu flour add grated coconut too It will enhances the taste. 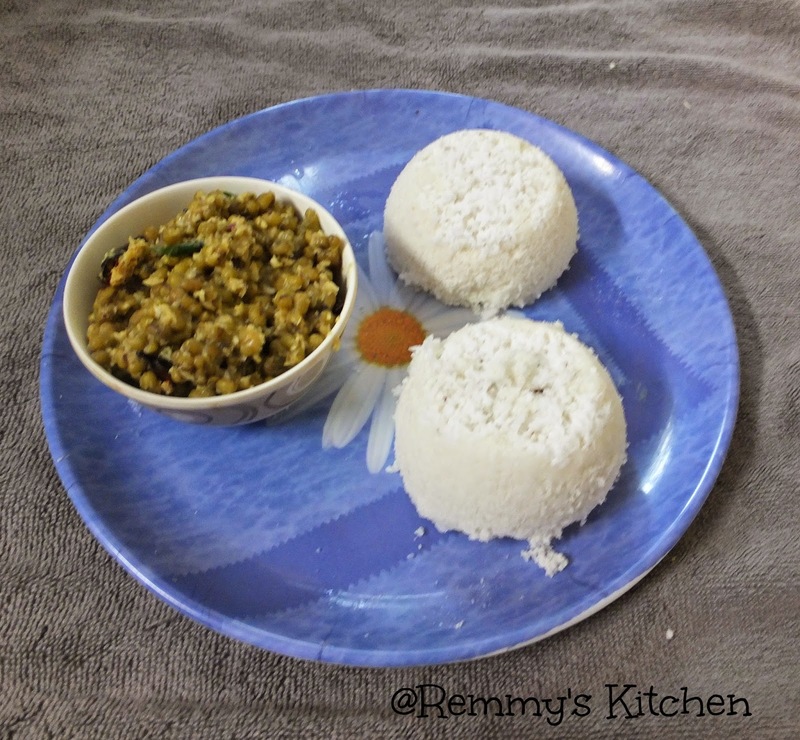 If you dont have cooked rice mix the rice flour with little water.And make puttu flour.Check my wheat puttu recipe for the details. After wetting puttu flour should be loose and sticky at the same time. Just came back from Kerala. Loved the puttu so much. Looks very well thought of and definitely a good food legacy!